With heavy hearts we announce that Gary passed away at the Foothills Hospital in Calgary, AB after a brief battle with cancer. 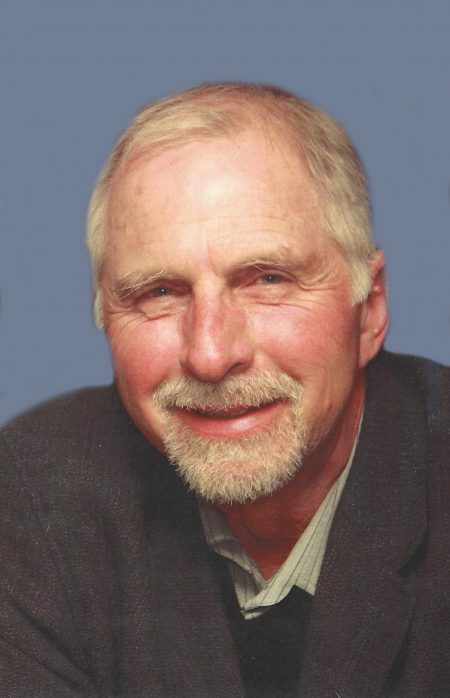 He will be deeply missed by Peggy (nee Enns), his loving wife of 43 years; his son Jacob (Alyssa Butters); his sister Maureen Peirce (Jim); and his half-brother Oliver. Gary is predeceased by his son Matthew. Gary spent 40 years in different aspects of both the residential and commercial construction industries. These included a variety of roles in everything from framing houses to Project Manager in downtown high rises. He was also a co-owner with Peggy in Traditions – a country store in Cochrane for 24 years. Gary had a great love for baseball as both a coach and a fan. He also had a keen interest in fishing. He spent many enjoyable days both locally on Alberta trout streams, and in later years on the Gulf of Mexico in Florida. Gary was highly devoted to his family, always doing everything he could to provide for his wife and two sons. A Celebration of Gary’s Life will be held at the Cochrane RancheHouse on Sunday, February 25, 2018. The family will welcome guests at 3:30 pm and a Service of Remembrance will begin at approximately 4:00 pm. Memorial donations may be made to Make A Wish Foundation www.makeawish.ca/donate. *** Please note – to leave a comment below, you must also check the box ‘I am not a robot’. This is a security feature and your post will not publish if not checked. Thank you. John and I both loved Gary…. his intellect, his political views, his grin, his sense of humor, his taste for yummy desserts, pizza night, new years together over the years and most of all his strong love for you (and Jake) and the joy you both brought to his life. We will miss him more than he can know. Our hearts ache for you and your loss. We are so sorry to hear of your loss Peggy. Our hearts go out to you and Jake and Alyssa. Although we didn’t spend much time together we know he will be sorowly missed. God be with you. Peggy, Jake & Alyssa, I am so sorry to hear of the loss of Gary, he will be sadly missed, but always remembered, I will have fond memories of him as one of the most interesting “characters” and the only flaming zambuca dancer that I have encountered in my life. Anything that I can do for you, just call. So sorry for your loss, Peggy and Jake. I was sad to hear that Gary was ill. He was someone who would do anything for those he loved, and he will be missed by many. He always took great pleasure in ribbing me about my fly fishing skills. I will always remember the Bow River trip he organized for my bachelor party. Tammy and I fondly remember the supper we had at your place. You, Jake and Alyssa will be in our prayers at this difficult time and Gary will always have a special place in our hearts. Peggy, we were so sorry to hear about Gary. Our sincere condolences to you, Jacob & Alyssa. Gary will be missed by family, friends & co-workers. May the Lord give you peace & comfort now & in the days ahead. We are so sorry to hear of Gary’s passing, know that you are in our thoughts and prayers at this most difficult time. May His love comfort you now and always. My heartfelt condolences to Peggy, Jake and Alyssa for the loss of Gary. He was a great husband and father who gave everything he had to serve his family. His intellect and sense of humor made him fun to be around and he will be remembered as a very interesting and vital person. I doubt there are many things in life he wanted to do that he didn’t accomplish. It was a life ‘well lived’. I will miss him…there is nothing on earth more dear than your family even if you dont see them a lot because they live so far away. Janette and I cannot believe that my great cousin is gone. It was so sudden! We will certainly miss him, especially in Florida, where we have spent so many wonderful, fun family vacations! Gary was a great guy. Before I made this post tonight I came across an article posted in the Globe and Mail called Hope Lives on from 2009 about Uncle Gary and Peggy rediscovering their love of baseball after Matt’s tragic death in 1994. I could hear Gary’s voice, and feel his pain, optimism and strength and it reminded me of all the wonderful things he was and how much I admired him. I’ll never forget my holiday west with Gary, Peggy and Jake and all the laughs we had. The introduction to the ways of Calgarians, fishing in the bow river and ranching with Jake. Vactioning in Florida together and all of our pizza nights were a blast. All of the book recommendations and dirty jokes are something I’ll never forget. Seeing Uncle Gary and dad together was also a highlight. They could finish each other’s sentences and loved out joking each other. Same mannerisms, sense of humour and devilish grins. Uncle Gary was funny, kind, charasamtic and always put his family first. Peggy, Jake and Alyssa I wish he wasn’t gone and I know how much you’ll miss him. Lots of love from John and I and the girls. We will miss all of you so much this year in Florida. We are heartbroken for your loss. We are so grateful that Gary reached out to hold us together and will always remain in awe of his strength and love of family. Growing up as children, Gary, Maureen and I were often together. I remember fondly Gary’s playfulness, his absolute honesty and later, as a teenager, his unexpected and delightful visits. We were separated by miles but not by affection. I am so very sorry to hear of your loss. Although I did not know Gary well, I do share in your sorrow. Gary was one of my oldest and dearest friends. We first met when we were both wide eyed newbie arrivals at the University of Guelph all those many years ago. We were part of the very small group of Alberta boys and soon became very close friends. As the years passed, Laurie and I came to know Peggy and the family that followed. Life was not always easy for Gary and I admired his perseverance and his tenacity. When I think of him, I think of words like loyalty, intelligence, honesty, empathy and resilience, but most of all I think of humour. Gary always had a mischievous grin, a quick wit, and seemed to be always on the verge of dropping a deadpan “zinger” into the conversation that would instantly break everybody up in to fits of laughter. I loved the guy and I was so happy that we “three amigos” (Gary, Trevor, and Doug Forbes) got to spend much needed time together this past summer on a Pacific salmon fishing trip. It was just like old times back at university (except for the accumulated wrinkles we had all acquired over the years). Laurie and I wish to extend our sincere condolences to Peggy, Jake, and Alyssa on their loss. We all will miss Gary, but your loss is especially painful and we have no words that can change that. He was a great husband, father, and friend and we are all richer for having known him. Read the obituary last night of the passing of your husband Gary. Really sorry to hear of your loss, especially after 43 years together. We have been praying for you and will continue to do so through your time of grief. Peggy…I use to frequent your store, Traditions, and on many occasions, and while striking ups conversation, with you, Gary would be there and comment on what we were talking about. Gary seemed like such a gentle, quiet man, but he always added to the conversation, with his quick wit, which in turn would make us all laugh. You could tell that Gary was so devoted to you, Peggy. Always remember the good times together, as these memories are what will help get you through this difficult time. Keeping you in my prayers. Peggy, I am so sorry to hear of Gary’s passing. I know you had so many things planned. I did not know Gary but I saw how much you loved each other and how helpful he was in the store. I pray that God will comfort you with many happy memories. We were so sorry to hear of Gary’s passing. Our hearts go out to all of you at this very sad time. Praying for all of you. We have been deeply saddened to have heard about Gary’s passing. However, we would not want him to be suffering here in this world, and there is absolutely no doubt in our minds that Matt was there to welcome Gary, and introduced him to our Father. It is impossible to believe that it has been all of a quarter-century since you lost Matt, and it gives us great solace to think about them being together, and never to be separated again. We wish we could have been there for you and with you in Gary’s final days, and at the celebration of his life this coming Sunday, as I am preparing to leave for Hong Kong on Wednesday to become their national men’s baseball team head coach. Be assured that we are with you in spirit! Peggy, you and Gary are two of the most kind and inspirational people that we have ever met. We connected after I had seen Matt play ball a few times and wrote you about his passion that oozed out of him when he played, and nothing surprised us when we first met you in person, through Chris Reitsma, upon our arrival in Calgary in 1996. The way Matt carried himself defined both of you, and after living your legacy, you took the baton and have lived his legacy ever since. Your family not only made baseball a safer sport to play across Canada, but the two of you absolutely made Paula and I better parents than we ever would have had a chance to be had we not befriended you. You were there for us when we landed in Calgary in 1996, and our bond has never ceased. Seeing you in August of 2016 when you were kind enough to come watch our youngest daughter Mia play softball in Calgary was our most recent precious memory. Both of you are salt of the Earth people, soft, sweet, genuine, and always lived with a perspective that is extremely rare. Like you and your sons, Gary’s face spoke volumes about what was inside of him, as it blossomed in kindness, warmth, integrity and sincerity. There was always a sense of lingering humour in his on-deck circle, and his smile could light up a room. The photo you selected for his obituary was perfect. Peggy, you are such a beautiful person, both inside and out, and we hope to remain in touch with you, and already can’t wait until the next time our paths cross. We have such deep love and respect for you, and we have no doubt whatsoever that Gary is in a very special place now. We will continue to pray for you and your family, and will be clinking virtual glasses this Sunday. I was a regular customer of your’s for years and always enjoyed finding wonderful gifts for myself and others at your fabulous store. I so enjoyed your friendly face, and that of Gary’s and welcomed my lovely chats with you both. I experienced a real loss when your store closed. I chatted with you both about your plans to spend much more time in Florida enjoying your retirement together. It is with great sadness that I learned of Gary’s death and I want to express my deepest sympathy to you in your great loss of him. Please know that I commit to keeping you in my prayers and I send loving thoughts to you as you grieve.